Welcome to another trip report from the past! During the 1990s and early 2000s, Singapore Airlines Airbus A310 was one of my most frequent aircraft, flying this aircraft more often than the other aircraft types on regional routes. As Low Cost Carriers didn't exist back then, flying with Singapore Airlines with my family was the only option. I didn't had much say in this but I can't complain. I remember flying on this aircraft as I often looked out of the window (at the gate) to check out my aircraft and back then, Boeing 747 was my first choice. 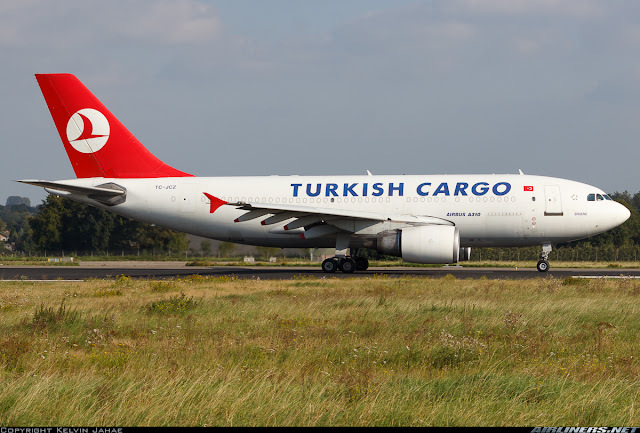 Seeing other unfamiliar aircraft in front of me made me feel disappointed but thinking about it now, I am glad to have flown on this aircraft type. These days, its difficult to fly on the Airbus A310 series as most of the operators have retired this aircraft for newer planes. 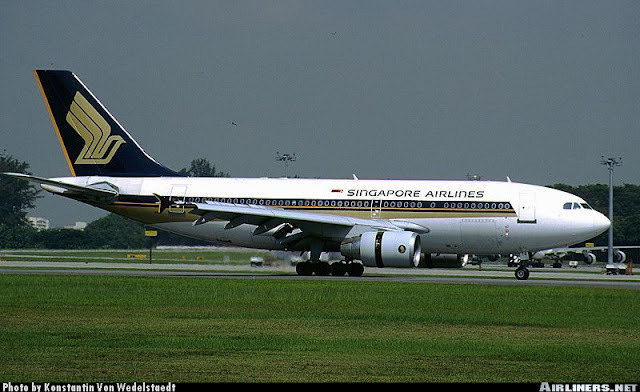 So let me share with you my experience on Singapore Airlines Airbus A310, no specific route for this trip report. 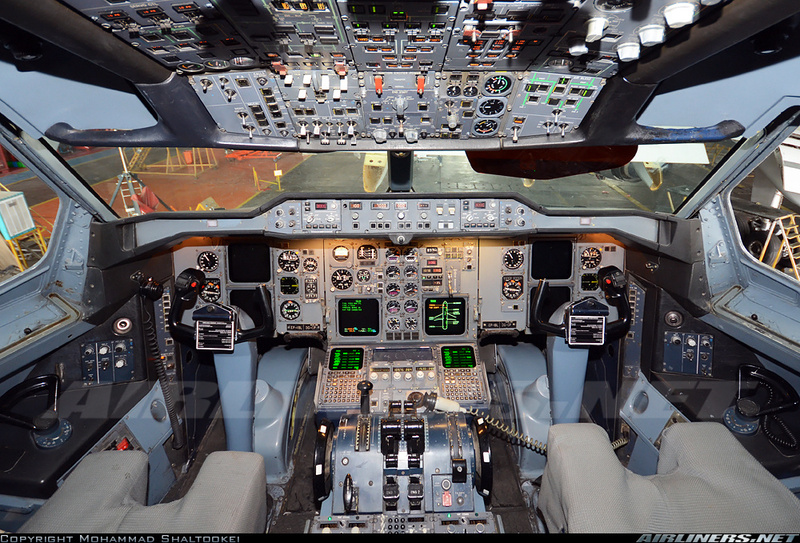 Its a different experience flying this model than the Boeing 777 and the newer models (Boeing 787 and Airbus A350). 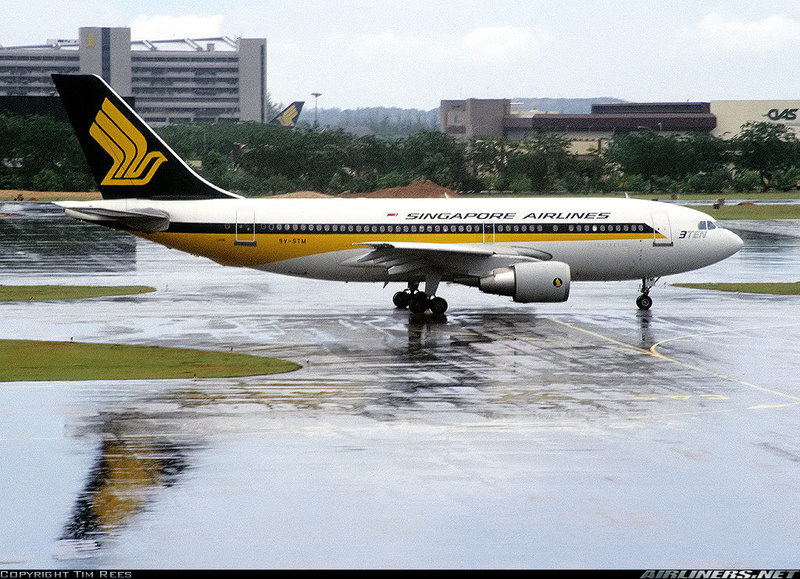 Airbus A310 is a short to medium haul aircraft built by Airbus in 1983. 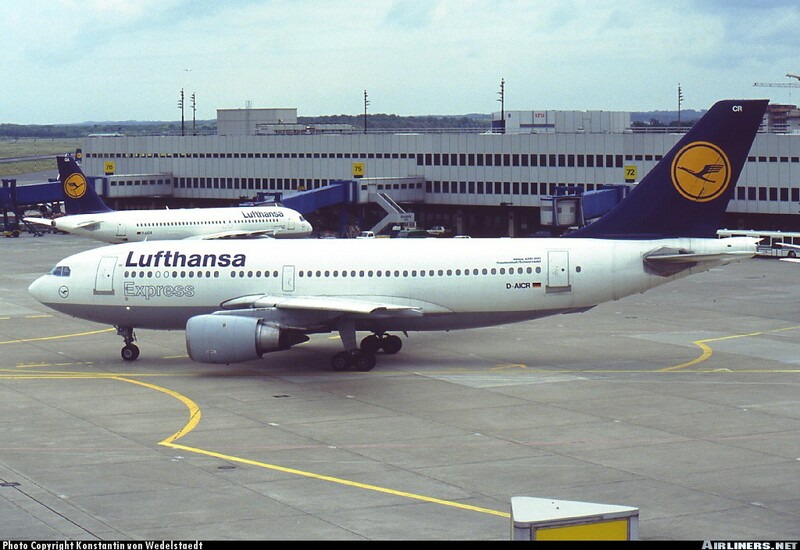 It was the 2nd aircraft type to be built by this European aircraft manufacturer. This aircraft is a shortened version of the Airbus A300 with identical cockpit, so pilots operating the A300 or A310 can fly on both types. 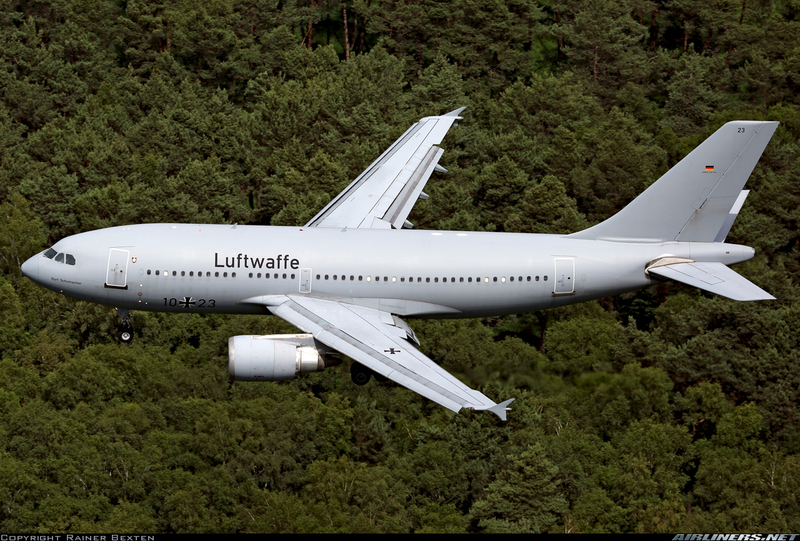 The Airbus A310 has 2 versions, the -200 and -300. 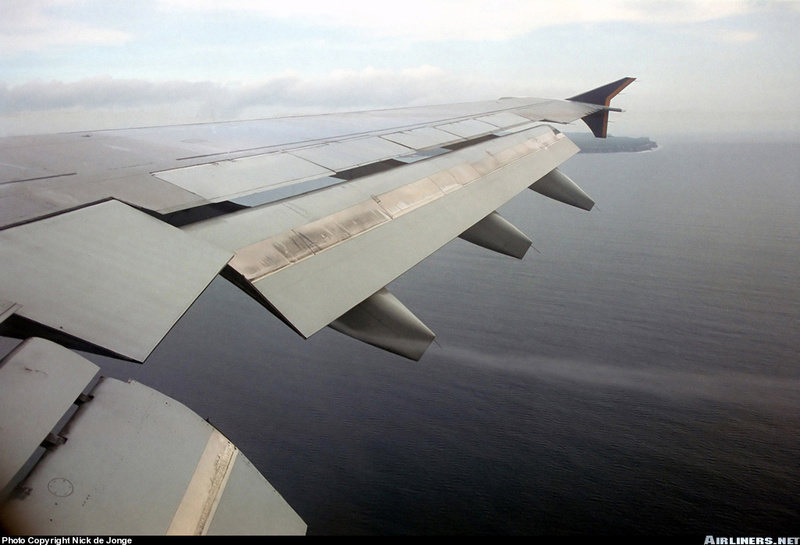 It is easily recognised by the wingfence. The A310-300 has wingfence, but the -200 series doesn't. 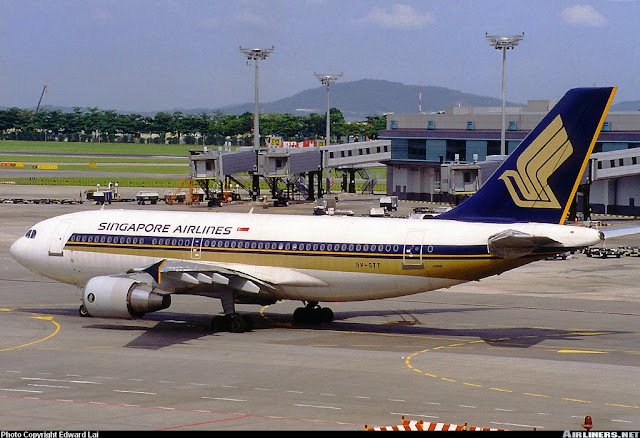 For Singapore Airlines this is an ideal aircraft for regional routes. 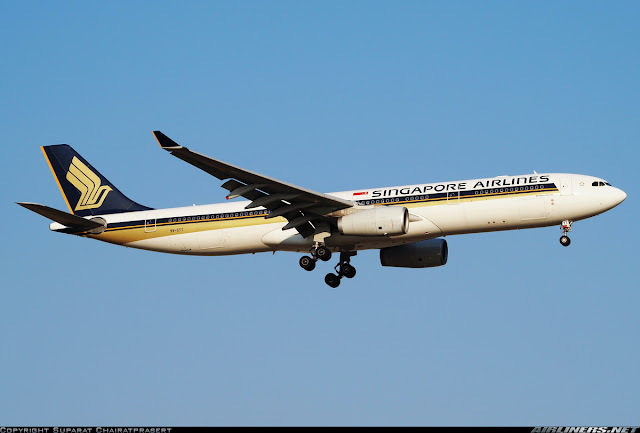 It flew its competitor's Boeing 757-200 for a short period of time but preferred the Airbus A310 as it felt that it is more suitable for the airline's network than the Boeing aircraft. 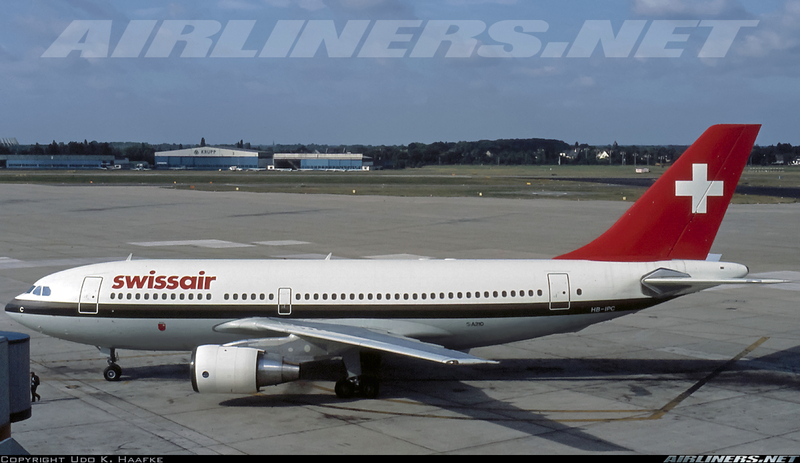 SwissAir was one of the first airlines to operate the A310 along with the others like Lufthansa, Emirates, Singapore Airlines. 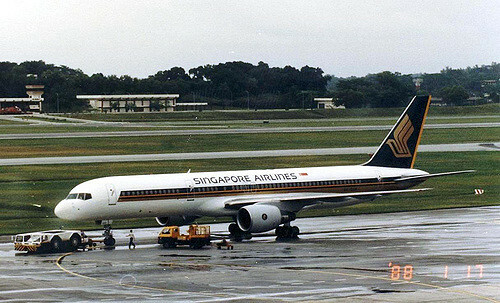 It was built to compete with the Boeing 767 which sold more aircraft than this aircraft and eventually the sales of A300/A310 declined and eventually Airbus had to turn to the Airbus A330/A340 to help enhance its reputation. 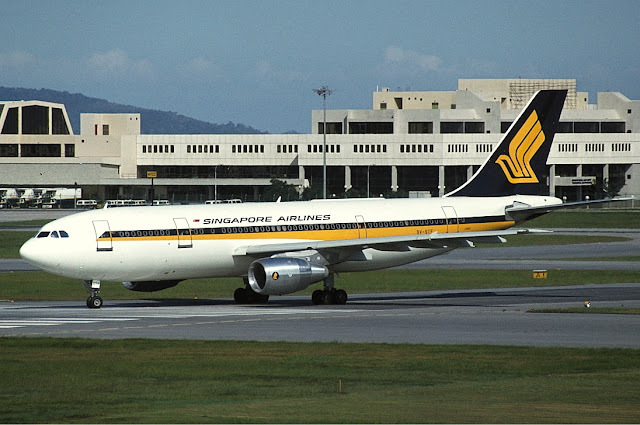 Do note: Most of these airlines have retired the Airbus A310. 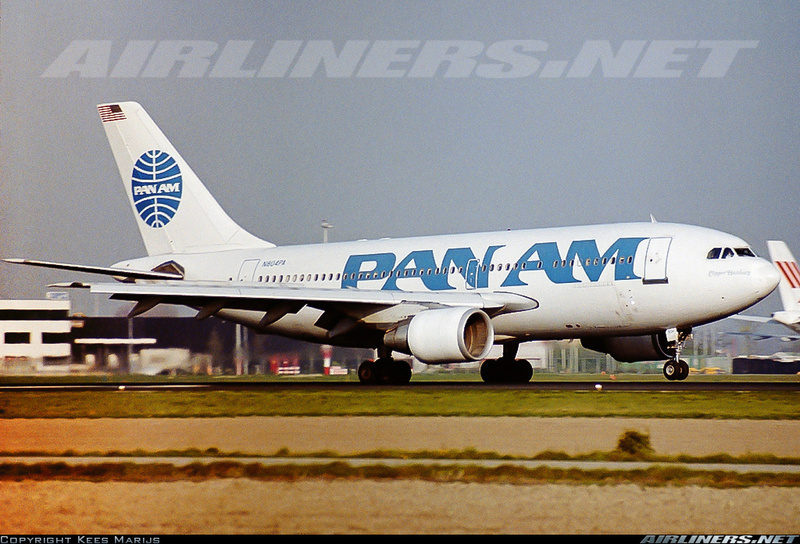 Delta Airlines Airbus A310, ex-Pan Am's aircraft. 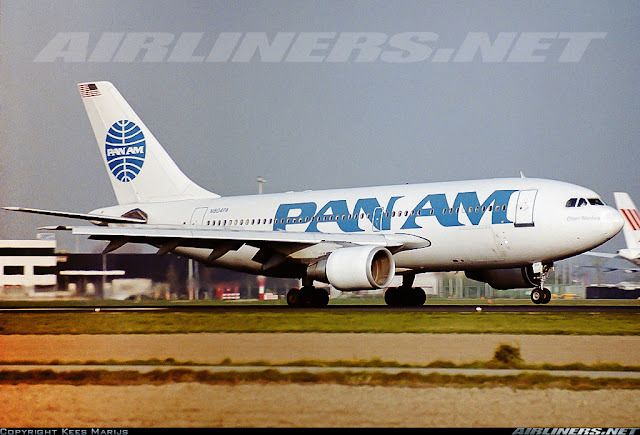 Pan Am's Airbus A310, this is the -200 series. 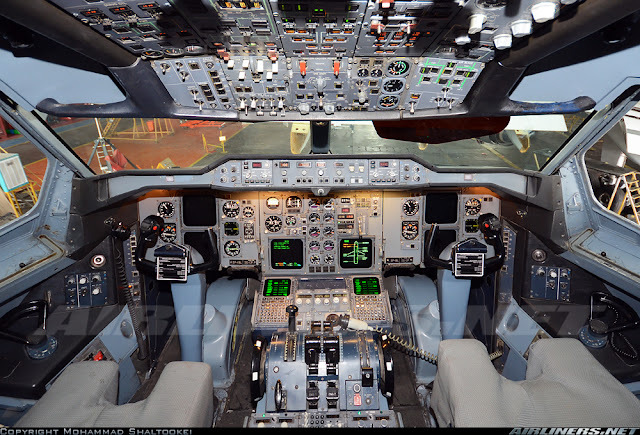 Notice the lack of wingfence. 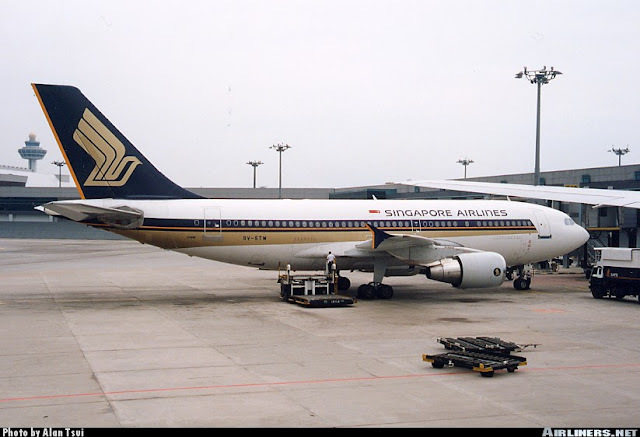 Flying Singapore Airlines Airbus A310 was a regular affair in the 1990s for me as my parents picked Singapore Airlines as the first choice back then and for most of our vacation, we picked this airline to fly us to many regional destinations. 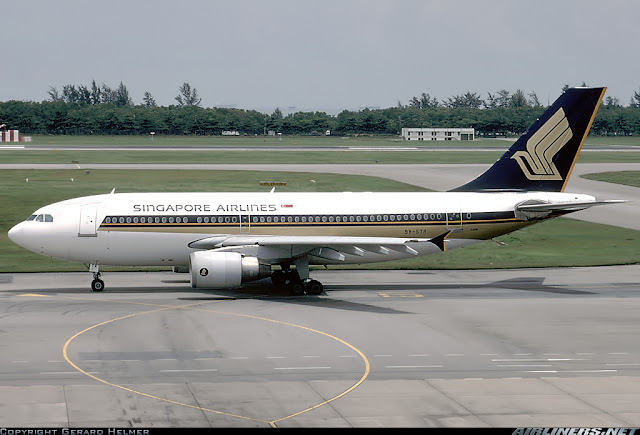 What I can remember about this aircraft is the comfortable 2-4-2 layout and always wanted to fly with the airline's Boeing 747 than the Airbus A310 especially on short regional routes. 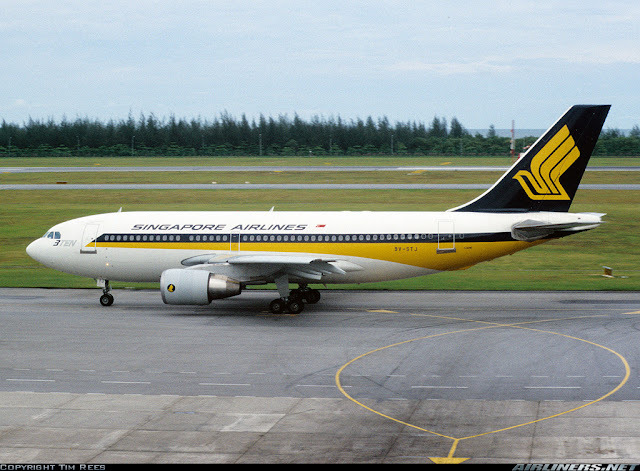 But thinking back then, I am glad to have flown on this aircraft type. In fact, Singapore Airlines is the only airline that I flew the A310. 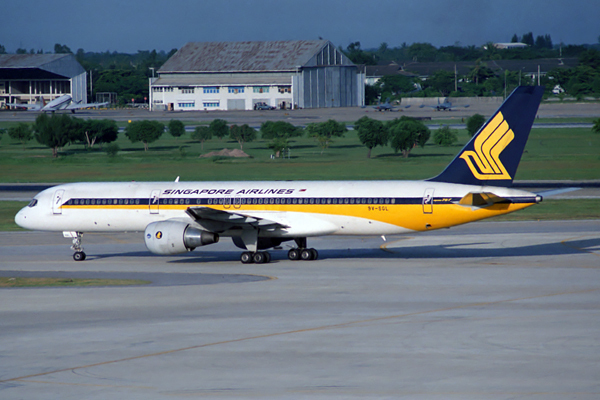 One registration that I have definitely flown on is 9V-STT. As for the Airbus A310-200, I think I have flown a few, can't be so sure of this as back then I wasn't really into aviation. 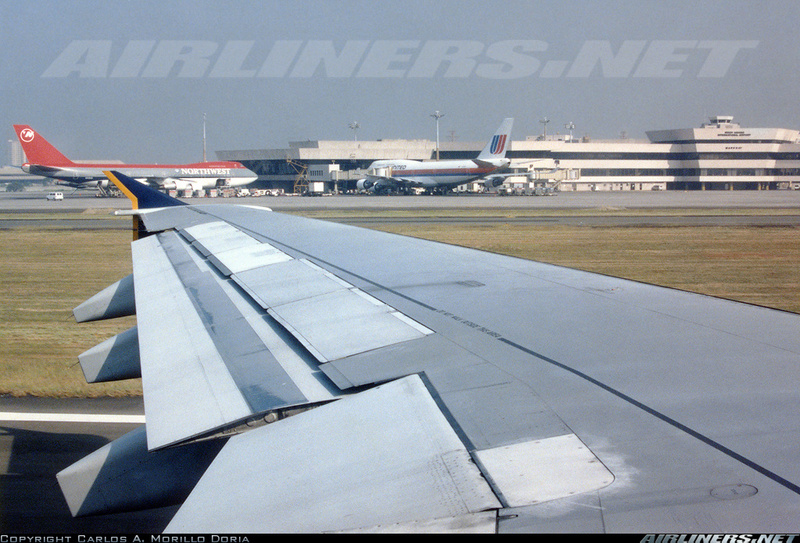 One thing for sure is travelling today and back then is very different. 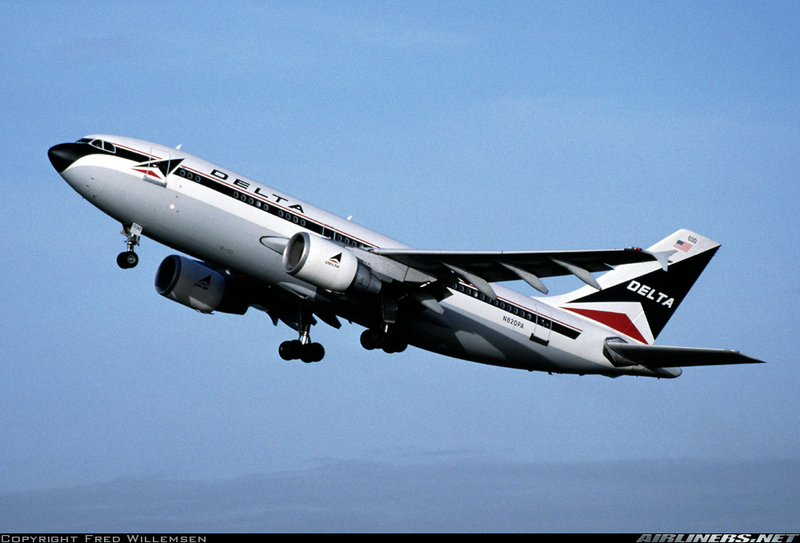 Airfares in the past was more expensive than today thanks to the lack of competition back then. 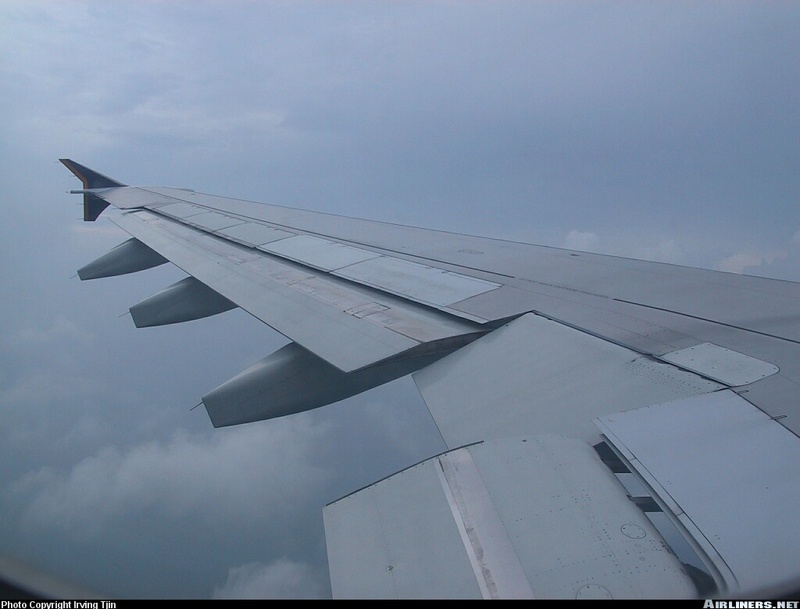 What I really enjoy flying the A310 most is how powerful it is when flying on short haul routes, it beats flying the single aisle aircraft definitely. 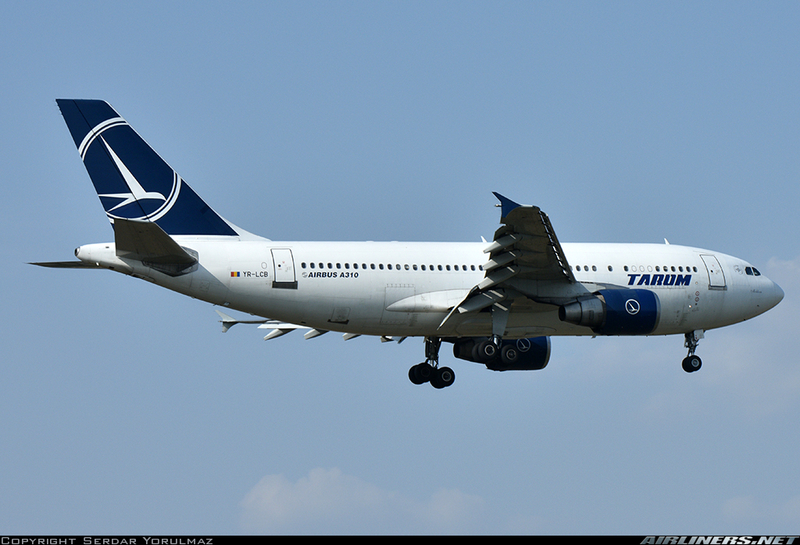 Right now, there are very few Airbus A310 operators and if you want to catch one, Iran would be the place to go. 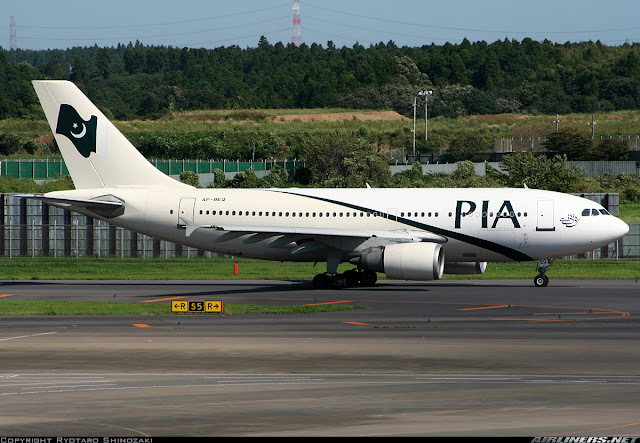 Iran Air and Mahan Air are operating a few if I am not wrong. Air Transat in Canada are operating a few but they would be gone soon. There are a few others from other parts of the world but all I can tell you is not many left and is getting quite rare these days. 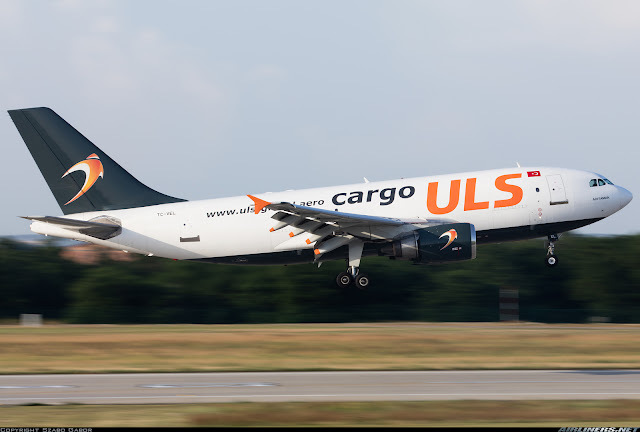 As for the freighters, Fed Ex is operating them and you will see them from time to time, but the airline's Boeing 757 and 767 are appearing more at A310's bases these days which means the numbers are decreasing for the A310, so if you are a photographer, do catch them before they are gone. Thanks for reading! Hope you enjoy this trip report. Booking Buddy is the biggest travel search engine, you could use to compare travel deals from the large travel booking websites.